What were you doing at 12? Were you inventing things or still playing with toys? Well, one young boy from Santa Clara, California, was doing both. 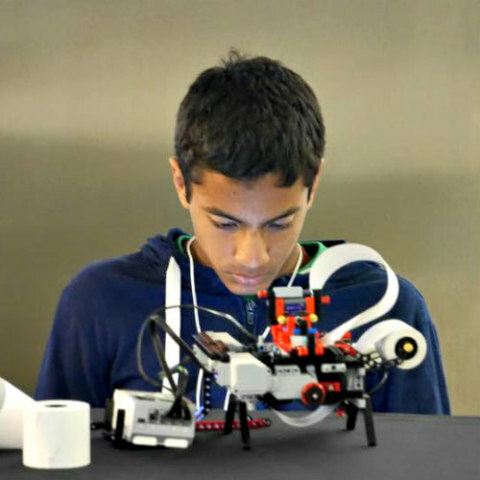 Now, at the ripe old age of 14, Shubham Banerjee is the founder of Braigo Labs Inc., a "humanely optimized technology company" devoted to making a difference in the lives of others. 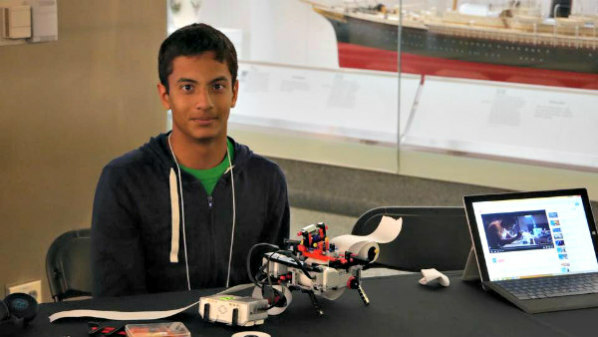 It was founded back in 2014 when Shubham was still only 12, but two years later he has 11 employees and is the recipient of several prestigious awards for young movers and shakers in the scientific and invention communities. While already placing regularly at science fairs, he somehow got the idea to try and make a Braille printer. It wasn’t long before he was doing it for real with Legos. Originally, his mother thought she was getting played by her 12-year-old son in order to get out of doing homework. Besides her house being taken over with the brightly colored building squares that snap together, he wasn’t doing much of anything else. 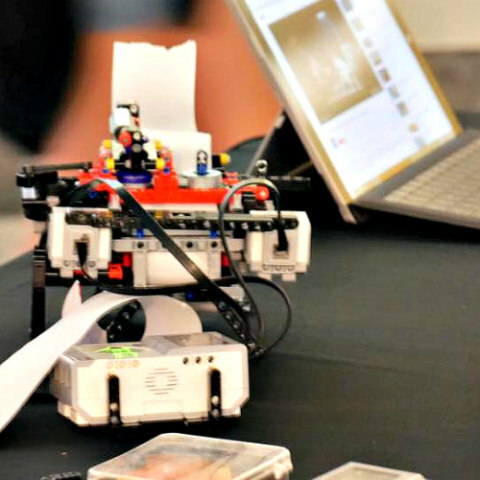 That’s because he was focused on his latest invention, the Braigo Braille printer made from Legos. Considered an open-source, cost-reduced DIY braille printer, Banerjee called it the Braigo v1.0, and his contribution to the visually impaired has not gone without notice. He wanted to show everyone that as people we can do better to help those in need. That’s when he decided to open Braigo Labs Inc. in order to facilitate further research and development of many similar solutions. It’s comforting to know that coming generations are getting more conscientious about contributing to society and making a difference. Without contributions like these we might otherwise one day be in trouble. Right now the company is concentrating on a variety of innovative new ideas “to bring to market alternative solutions to costly products currently available starting with braille printing/embossing technology.” At the time of his invention back in 2014, the budding inventor was quoted as saying, “Technology should help us to make our life easier and not become a burden due to high cost.” How many kids were thinking that way 20, or even 10 years ago? But right now Shubham Banerjee is part of the entrepreneurial generation, as it’s come to being known. It seems there are thousands of children on this same tack of wanting to make a difference. That’s because they recognize the need for change in how we approach things, like the young girl in Florida that developed a $12 machine for converting ocean currents into usable energy or the boy that designed what’s called a zero-energy "vaxxwagon” for delivering vaccines stored at proper temperatures in remote areas of the world. These three kids are merely the tip of the iceberg when it comes to resourcefulness and ingenuity. A quick search online using the words “teen invents” reveals dozens of articles about these impressive achievements by the well-under-20 crowd. With this kind of progress, these kids will have world hunger and a cure for cancer licked in no time. Perhaps it’s time for us adults to pick up our game to the level of our children, because they’re making us look like slackers.